Solar Heating is a low-cost alternative to heating your above or inground swimming pool throughout the summer months. In the UK, unheated swimming pools only reach a pleasant temperature for a few days a year. Installing a Poolsolar system will enable you to increase your pool temperature to a pleasant level that will result in you enjoying and using your pool more than ever before, and what’s more, it’s free! If you are an existing pool owner who already has a pool heater in some form or another and are fed up with paying excessive utility bills, then utilising the sun’s energy for free is an ideal alternative. Poolsolar can be attached to any existing filtration plant. What better way is there than using the sun’s energy to heat your pool. 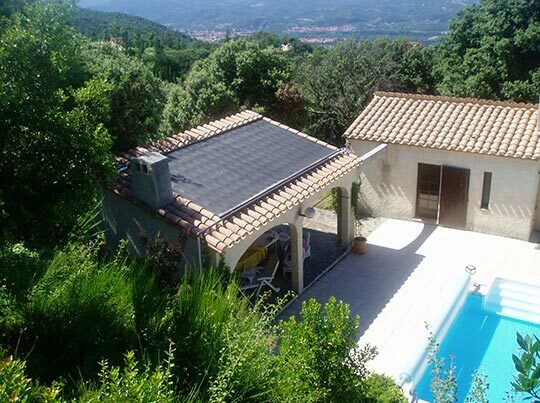 The PoolSolar system is an easy to install pool heating system, and is available in 2 sizes, 4M2 & 5M2. How does Pool Solar work? By simply passing filtered pool water through strips of E.P.D.M quality P.V.C solar matting which is heated by the sunís rays. The matting is pre-fitted to P.V.C Manifolds that are connected to each other. The manifolds must be plumbed directly to the filtration plant. The amount of Poolsolar you require will depend upon the size of your pool. Under normal conditions you need to use only half the surface area of your pool as the collector surface i.e. 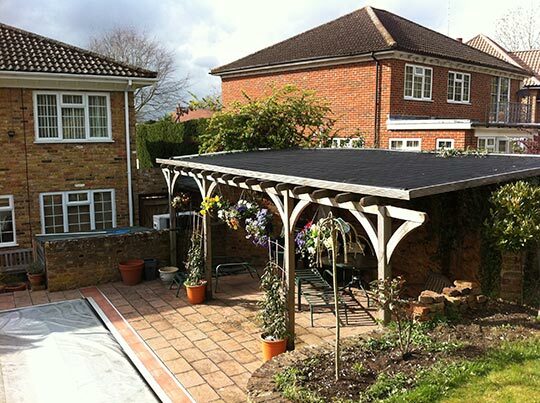 a 30 x15í pool is 450 sqft, therefore approximately 225sqft of Poolsolar matting is required. For south-east and southwesterly facing positions in cooler climates, the Poolsolar matting should be increased by 35-40%. Poolsolar can be installed almost anywhere – on the roof of your house, garage, porch, summer house, pergola or directly on the lawn. The only important requirement is a sunny place i.e. south facing to ensure maximum heat absorption.